The success of Akrapovic is based on an intensive development work, a processing on the highest level, coupled with an attractive appearance. Akrapovic exhaust systems are characterized by their low weight, a rich sound and a good performance increase. 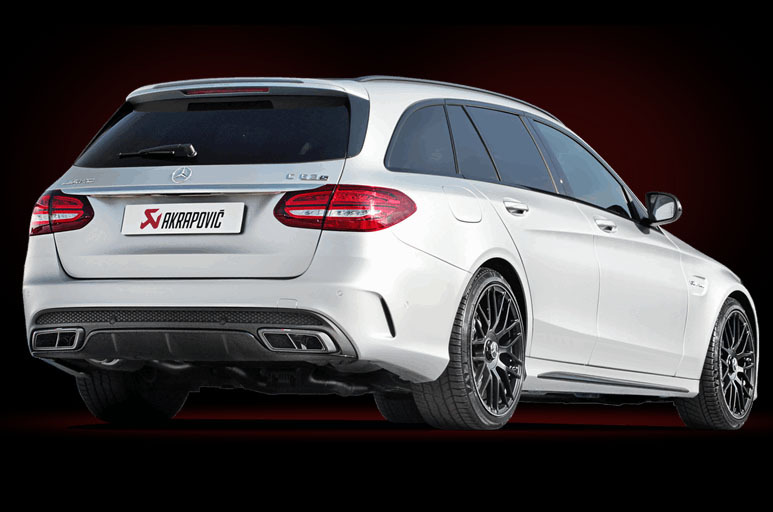 Inquire now: Akrapovic exhaust system suitable for your Mercedes AMG. Titanium exhaust systems from Akrapovic use the high-energy impulses of the exhaust to create a negative pressure behind the opening exhaust valve. The negative pressure pulls the exhaust gases out of the combustion chamber – this creates space for fresh gas. The formula is simple: the fresher the gas, the better the filling. And the better the filling, the higher the performance. That’s the formula for more power. Akrapovic exhaust systems are uncompromising in terms of quality and performance. With the best materials, such as special titanium, V4A steel and carbon, Akrapovic systems are ideally suited for use in your Mercedes-AMG. Each Akrapovic exhaust system is carefully designed and engineered to combine technical perfection with a sophisticated design. With its exhaust system, Akrapovic demonstrates innovation and performance. Company founder Igor Akrapovic already optimized exhaust systems at the end of the 80s and recognized the capability early on. The breakthrough – also international – was achieved in motor racing at the end of the 90s. Already in the following years the name Akrapovic prevailed in the competition and showed first racing successes. Success continues today: more than 800 employees work for Akrapovic. Every year the manufacturer grows – with double-digit growth rates. Akrapovic is one of the most successful companies in Slovenia. Trademark of Akrapovic Exhaust Systems: An unmistakable, deep and rich sound. Akrapovic is the world’s leading manufacturer of titanium exhaust systems with decades of experience in motorsport. All exhaust systems are developed and tested on state-of-the-art dynamometers. The processing of all components used has OEM premium level. 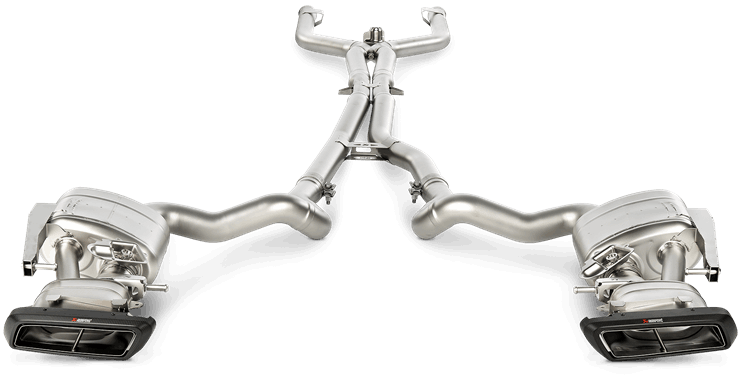 The titanium exhaust systems are specially adapted for the sporty AMG high-performance models by performmaster. The Akrapovic exhaust systems are made of titanium and fitted with carbon tailpipe trims. Compared to the AMG series, the Akrapovic exhaust system is much lighter. 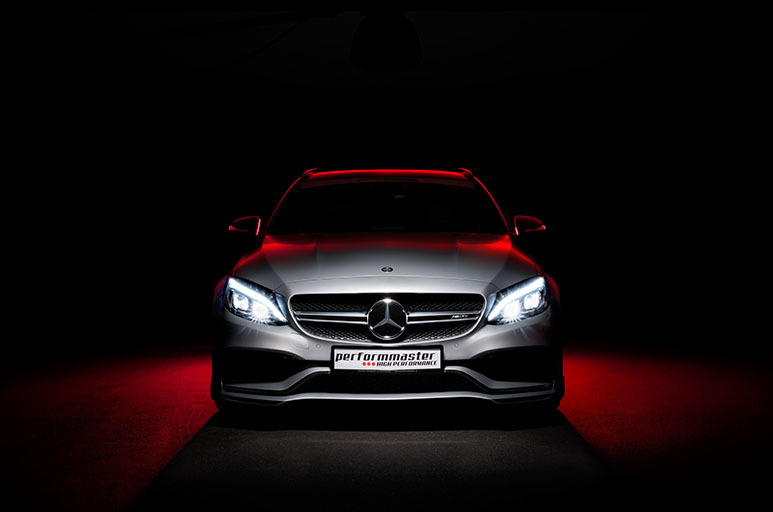 Best sound in every speed range and a visual highlight for every Mercedes AMG. Exhaust systems for Mercedes-AMG: Great sound, perfect looks and maximum power output: Performmaster offers exhaust systems for Mercedes-AMG models from Akrapovic. The titanium exhaust system is available for many Mercedes-AMG models, including the compact AMG C-Class models (W204 / S204 and C205, S205, W205) as well as Mercedes-AMG GT, Mercedes-AMG GTS and Mercedes-AMG GTC ( C190, C120). Also Mercedes S63 AMG (C217 / R217) benefit from a sports exhaust system. Also available for your Mercedes-AMG: increased performance including Vmax suspension. Just like a classic AMG chip tuning, tuning with a PEC tuning module is active immediately after installation. The result: more horsepower and more torque for your Mercedes-AMG. This is chip tuning for your Mercedes-AMG of the latest generation with a PEC tuning module from performmaster.